Join us at the Curating and Public Scholarship Lab for an exhibition and discussion of “Conflicted Memory,” with book author Cynthia Milton, Shelley Ruth Butler (Institute for Study of Canada, McGill), and Kevin Gould (Geography, Concordia). What happens when concepts of “truth,” “memory,” and “human rights” are taken up and adapted by former perpetrators of violence? Peru has moved from the 1980s–90s conflict between its armed forces and Shining Path militants into an era of open democracy, transitional justice, and truth and reconciliation commissions. 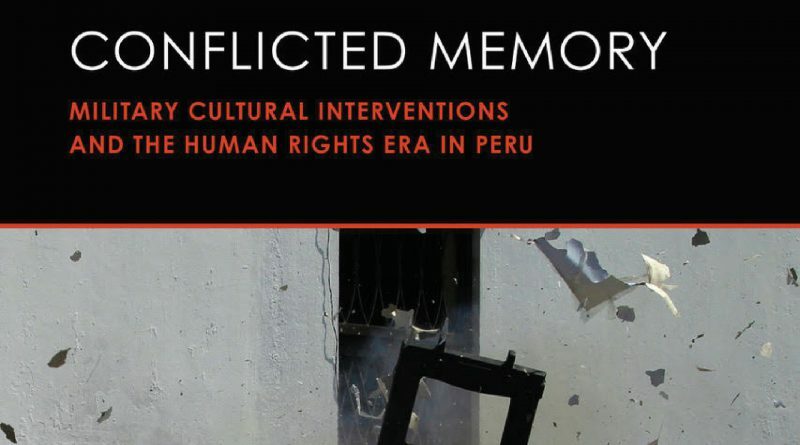 Cynthia Milton reveals how Peru’s military has engaged in a tactical cultural campaign—via books, films, museums—to shift public opinion, debate, and memories about the nation’s violent recent past and its part in it. Milton calls attention to fabrications of our post-truth era but goes further to deeply explore the ways members of the Peruvian military see their past, how they actively commemorate and curate it in the present, and why they do so. Her nuanced approach upends frameworks of memory studies that reduce military and ex-military to a predictable role of outright denial.